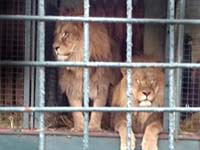 More than three years after the government committed to ending the use of wild animals in circuses – described by the Prime Minister as an “outdated practice” – the legislation has still not been introduced, despite that the 2013 Wild Animals in Circuses Bill carries a 1st December 2015 implementation deadline. 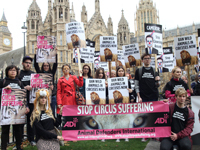 Few issues unite Parliament and public like banning wild animal acts – across all parties 94% of MPs stood for election on manifesto commitments to end wild animal circuses. The Conservatives promised “we will ban wild animals in circuses” with similar commitments made by Labour, the Greens and the DUP. Public support for a ban on wild animals in circuses has remained consistently high for over a decade. A 2010 DEFRA public consultation recorded: 95.5% believed no species of wild animal should be used in circuses; 96% believed travelling circuses should be prevented from obtaining any further wild animals. Prior to the General Election, Jim Fitzpatrick MP introduced a Private Members Bill version of the Government’s own Bill, which was blocked twelve times by a trio of Conservative backbench MPs – Christopher Chope, Philip Davies and Andrew Rosindell. Week in, week out, ADI kept the issue in the headlines, rallying the public, animal protection groups, celebrities and MPs into action with an ADI delegation to Downing Street calling on David Cameron to progress the ban, presenting a petition from over 20,000 people. The legislation applies only to England; Wales is committed to a ban and is seeking to be included in the legislation – although the Welsh Conservatives commented in September: “Whilst the Welsh Labour Government has said that it is supportive of a ban, for some reason they seem reluctant to tackle the issue head on and have instead deferred it to the UK government to take decisive action.” Welsh Liberal Democrats are also backing the call for the Welsh Assembly to act ahead of Westminster. The delay in passing the legislation has seen the return of a lion and tiger act with Thomas Chipperfield to Britain – which has now set up in Wales where it can avoid the rudimentary temporary regulations – introduced in 2013 as a prelude to the ban. The evidence supporting a ban is overwhelming. Travelling circuses simply cannot provide the natural complex environment where a wild animal’s normal behavioural repertoire can be satisfied, thus, welfare will always be compromised. ADI investigations have repeatedly shown behind the scenes violence in circuses, with some of the worst examples filmed in Britain. Our evidence has led to successful cruelty convictions and public support for a ban, as the popularity of animal circuses has plunged. Twenty years ago, 20 circuses toured the UK with 291 wild animals. Today, there are two circuses plus the lion and tiger act with 24 wild animals. There is no economic rationale for allowing these cruel and out-dated shows to continue. A wild animal ban is a popular measure that will protect animals and bring the UK into line with over 30 countries which already have similar measures. 200 local authorities in the UK have banned acts with either all, or wild animals, from council-owned land. The suggestion that a national ban might be overturned following legal challenge in Europe proved groundless, as the challenge to Austria’s ban was defeated. As a nation which prides itself on being a champion of animal protection, it is time for England, Scotland and Wales to act. 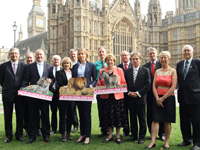 It is time for Government and Parliament to keep the promise to the electorate and pass the Wild Animal Circus Bill.